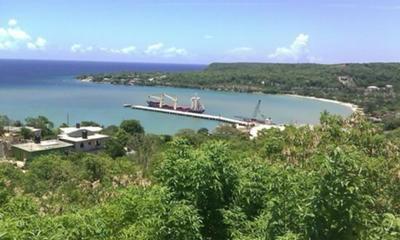 This is my surrounding in Hope Bay, Portland. I moved to Swift River Portland last year. Loveeeeee it! The best thing I've ever done. 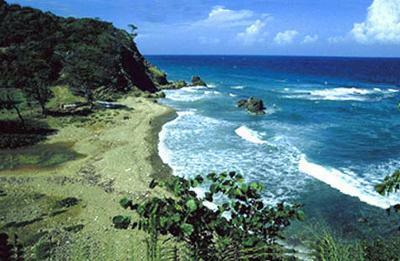 D&M Jamaican Countryside Tour provides a unique, unforgettable holiday in Jamaica? 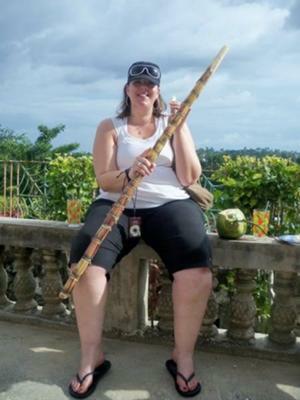 We create a cultural holiday experience for your time in Jamaica. 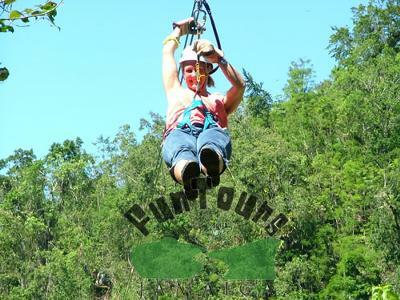 We provide tours to some of the most beautiful and fun filled parts of the island of Jamaica. Enjoy fantastic scenery clear crystal blue waters, town life, and fantastic duty free shopping. A few of the fans on the facebook site have decided driving is the ultimate adventure. I love the road signs that say "CLIFF" and show a car plummeting over the edge. 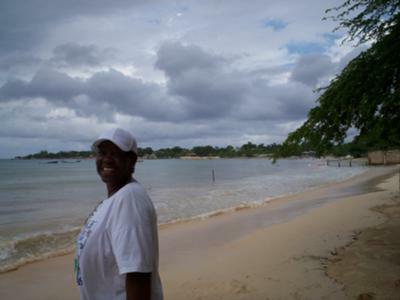 The first time I was ever in Jamaica, I took a taxi after sunset on a rainy-rainy day from Mo-Bay to Negril. The rain had washed the mudcrabs out of their homes. 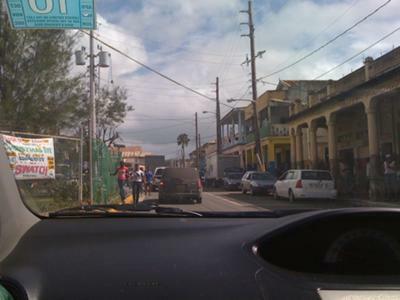 The first time I took the public bus from Negril to Sav to Kingston to Pt. Antonio, there were a number of times that I thought I might actually die. But then I thought, Nah. These Jamaicans know what they're doing. 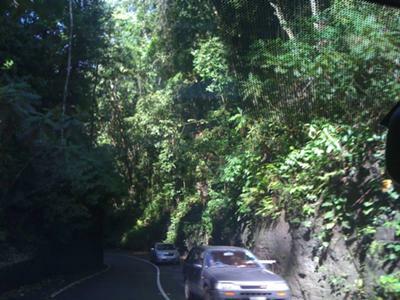 We were winding up and down steep, narrow mountain roads into and out of Kingston with rain water pouring down. The roads were like driving in rivers. Hark, what's that I see in the boughs of a tree on the low side of this sheer cliff? Oh my God. It's a car. Rusted out and flipped over and held by the branches this tree. It was at that moment that I thought, maybe these Jamaicans are actually crazy. 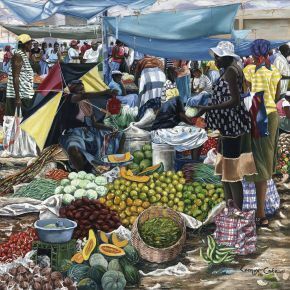 The first time I rented a car was in Negril. Naturally, the gas gauge was well below zero. I vaguely knew the direction of the gas station, but not much more. I drove country-way through Sav to get back to Mo-Bay. That day put hair on my chest. 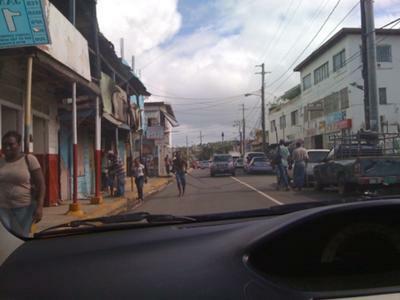 The first time my husband drove in Jamaica, he was hanging me - the passenger side of the car - so far over the side of the road that a number of times only 3 of 4 of our tires were touching. Between Mo-Bay and Ochi, I turned my air conditioner off in my rental car and rolled down my windows to enjoy the cool misty rain. When it stopped raining, and the sun came blazing back, I turned my air conditioner on and... I believe it caught fire. Smoke poured into the car and we didn't even blink. I said to my husband, "Dere is no more air conditioning today." No problem mon. 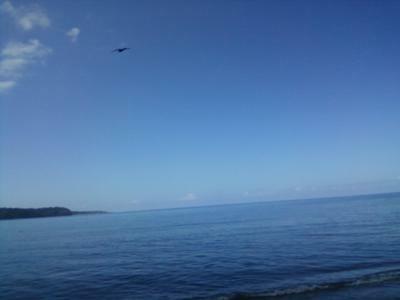 Mi love mi island Jamaica. 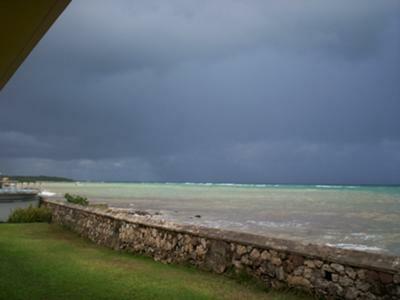 Jamaica where you can experience the beauty of nature...surrounded by Caribbean sea. It is the perfect holiday spot!! 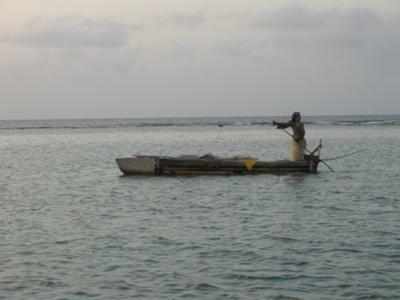 One of the many things I most treasure about Jamaica is watching the local fisherman early in the morning. Welcome to our guided tours. One of which that will take you on a tour through our picturesque countryside. 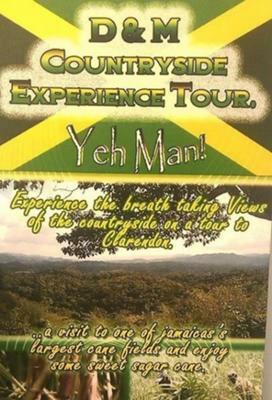 When you come to jamaica it so much to do and see.Our Countryside tour will help to relax you while allowing you to see one of our rural community in the parish of clarendon. 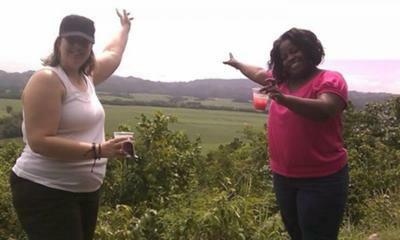 On this... trip to the countryside you will visit the 3rd largest sugar cane field in jamaica; you will see a variety of plants and trees. Why not try some refreshing jelly coconut or enjoy some sweet sugar cane while you make your photographic memories. We will be stopping at the coconut palm club to ear and enjoy a Jamaica beverage......maybe have a cool red stripe beer.soda or fruit punch and listen to some sweet reggae music. For more info call us at 876 288-8492 or 876 473-1341. 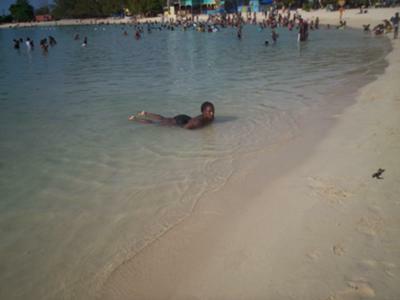 Montego Bay Aquasol Beach on Gloucester Avenue near Doctors Cave Beach. 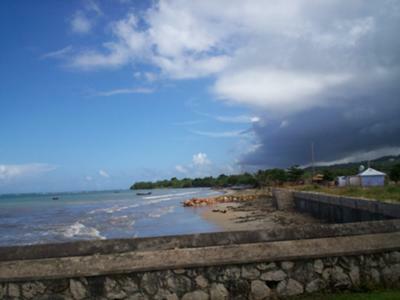 These are just a few pictures from beautiful Jamaica, my birth place! Whenever I go I feel at peace.